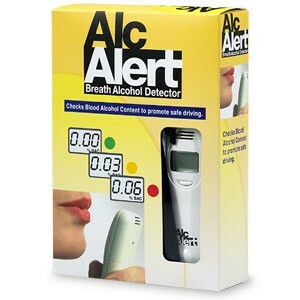 This product has been replaced by the AlcoScan AL2500 Portable Breathalyzer. Please visit link for more information. 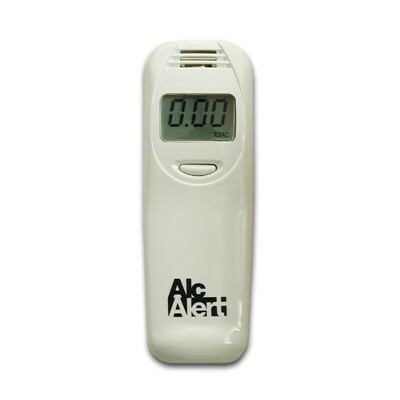 AlcAlert BT5500 breathalyzer provides a rapid and accurate measurement of your blood alcohol concentration. With the AlcAlert BT5500 never risk an arrest for driving under the influence. 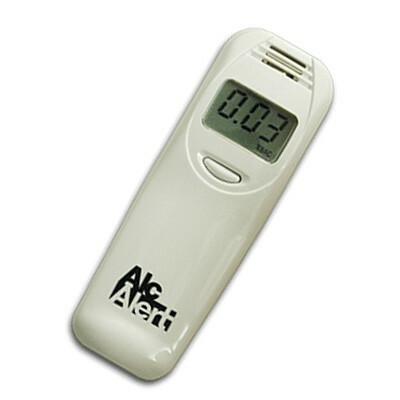 The AlcAlert BT5500 will provide peace of mind and safety for any responsible drinker. The BT5500 breathalyzer is a compact and effective screening device that responsible drinkers cannot afford to be without. Protect yourself or a friend from the dangers of driving under the influence of alcohol with this inexpensive personal breathalyzer. AlcAlert breathalyzer provides essential knowledge for safe driving or operating heavy machinery. Compact and highly accurate, AlcAlert BT5500 utilizes advanced semiconductor technology to provide simple and reliable intoxication testing. 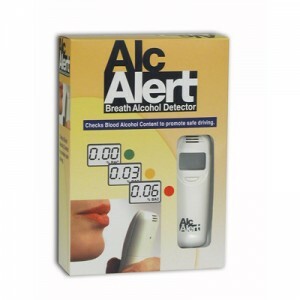 AlcAlert BT5500 Breathalyzer measures blood alcohol concentration (%BAC) from the user's breath. Users simply exhale into the unit and within seconds the LCD displays a precise measurement of your BAC. AlcAlert Requires No Mouthpieces One of the important criteria in the design of our breathalyzer products is sanitation. The AlcAlert's unique industrial design has eliminated the need for installing mouthpieces. This alcohol tester is engineered to maintain sanitary conditions by doing away with contact between the subject's mouth and the machine. The subject will blow air into the unit's Intake and will never touch the device with their lips. This method makes the AlcAlert BT5500 the perfect choice for alcohol testing at parties and any type of large social gathering by eliminating any risk of communicable hazards associated with multiple people using the same breathalyzer. A Personal Breathalyzer that is Simple to Use The AlcAlert is very easy to use and provides results in seconds. The BT5500 will beep when it is ready to begin measuring the alcohol level and once again, when it has gathered a large enough sample from the subject. Exhale gently into the unit and stop when you hear the second beep. In seconds, an easy to read back-lit LCD will display the results in 0.01% increments. The simple design and large easy to read LCD digits ensure that this is a personal alcohol tester that will be used frequently. Advanced Gas-Sensor Technology The BT5500 breathalyzer utilizes an advanced Japanese built gas sensor to measure a person's blood-alcohol level. The BT5500 can accurately measure the alcohol in the subject's breath as they exhale towards the intake. This also eliminates the need for costly mouthpieces. Compact and Portable Breathalyzer This alcohol tester is so small that it can easily fit into your pocket, purse, or glove compartment. The amazing advances in technology have enabled these machines to be miniaturized, while at the same time increasing the accuracy and sensitivity. Despite its pocket size, this breathalyzer provides professional level results. Simple and Quick to Use Using the AlcAlert is a simple process. Simply press the button and wait for the beep. When you hear the first beep blow into the unit until you hear a second beep. In a few seconds the LCD screen will display your blood alcohol concentration in .01% increments. Large Easy to Read Display The easy to read LCD display shows the level of blood alcohol concentration (%BAC) in increments of 0.01%. The unit also has an attractive orange back light, so using the AlcAlert BT5500 in the dark a non issue of concern. A Breathalyzer that Detects Errors The AlcAlert is one of the few low cost breathalyzers on the market that detects errors while testing. The BT5500 will display an error message if you have an incomplete breath sample or if the sensor is temporarily saturated from a high alcohol level. AlcAlert has a Long Battery Life The AlcAlert uses solid-state circuitry and a liquid crystal display unit and therefore uses very little power for each test. This enables the two AAA Alkaline batteries (included) to last for more than 300 uses. The breathalyzer will also warn you when the batteries are too low for an accurate reading and need to be replaced. Notes: * Accuracy varies depending on individual metabolism, blowing conditions, humidity, and the condition of the sensor. The -P icon is an indication of low battery power. Please replace the batteries. The SAT icon indicates the sensor is saturated. This can occur if the unit is not allowed enough time between consecutive uses. For example, repeated testing without allowing the moisture to evaporate from the sensor will cause the machine to stop measuring and display the SAT error message. You should wait 30 minutes after eating, drinking, or smoking before performing a test. This will help avoid contaminating the gas sensor and ensure an accurate measurement. The SAT message will turn off after the liquid has evaporated from the alcohol sensor. This time can vary depending on what contaminants are deposited on the detector. It may require several times before the device is ready to measure again.